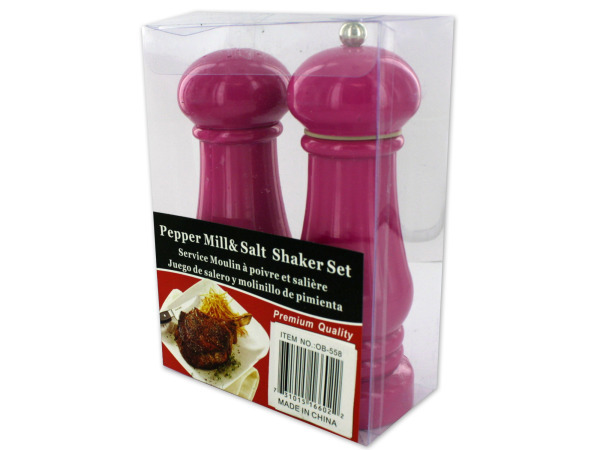 This set includes a pepper mill and salt shaker in bright colors. Solid construction ensures ease of use. Shakers measure 6 1/2" high.